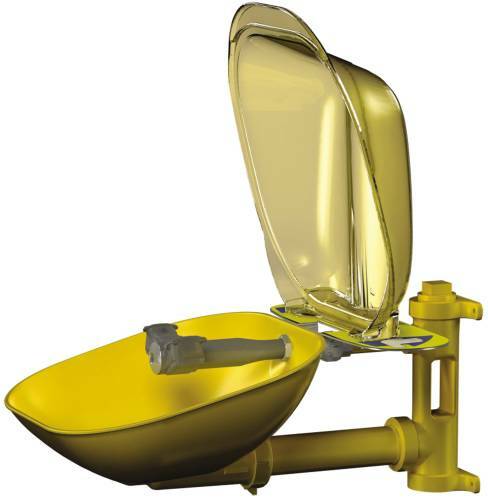 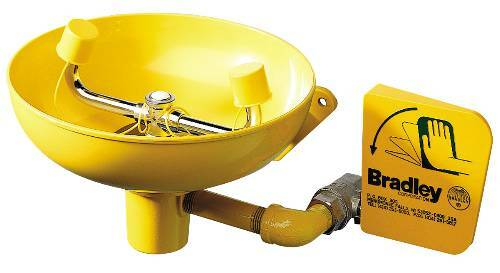 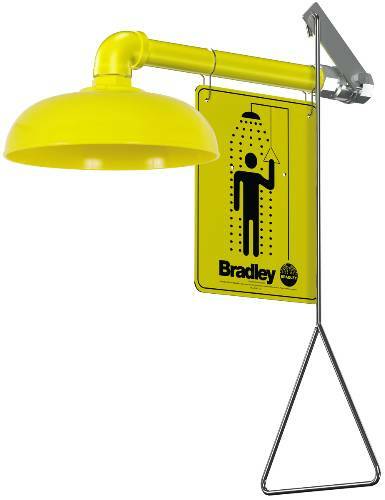 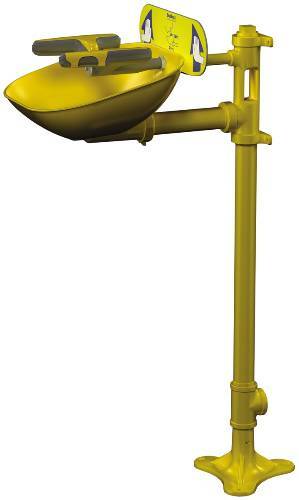 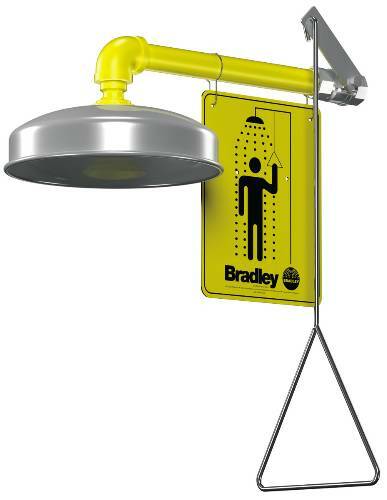 Galvanized steel protected with BradTect corrsion-resistant yellow coating. 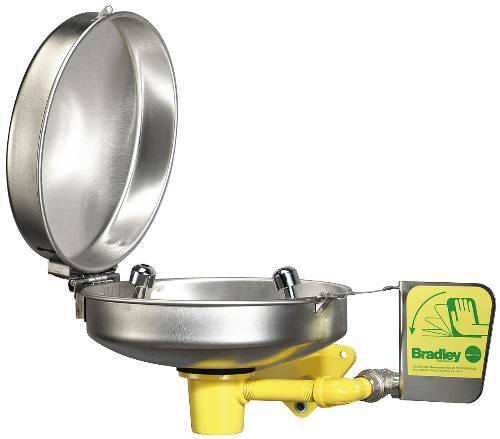 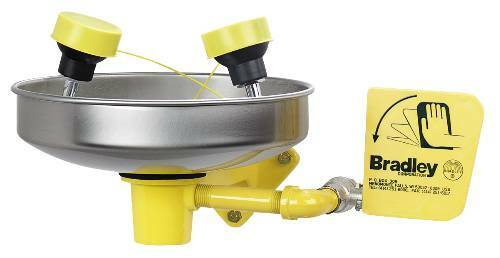 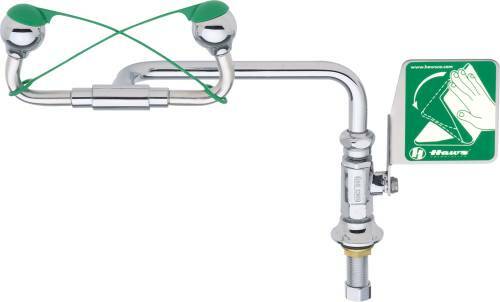 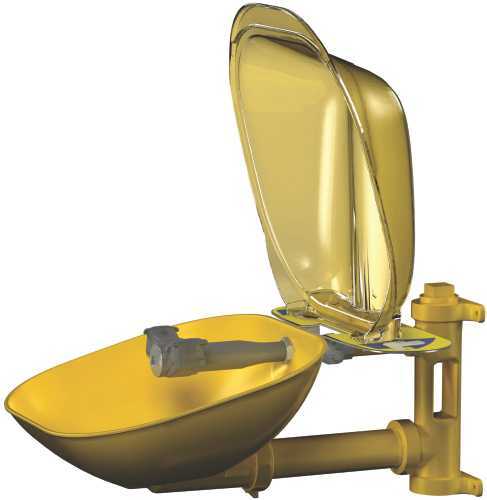 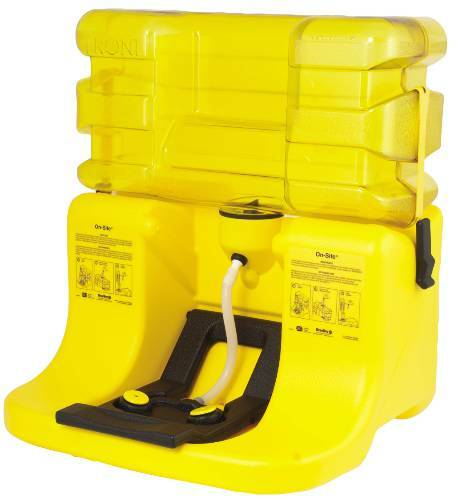 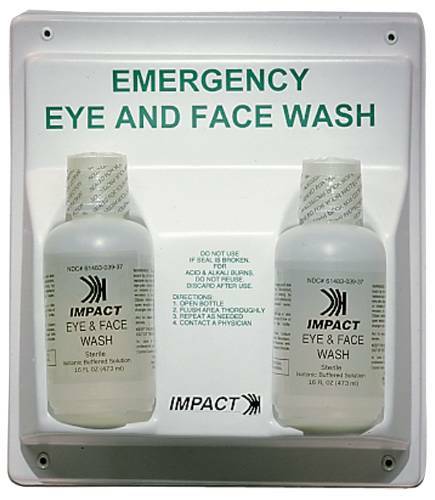 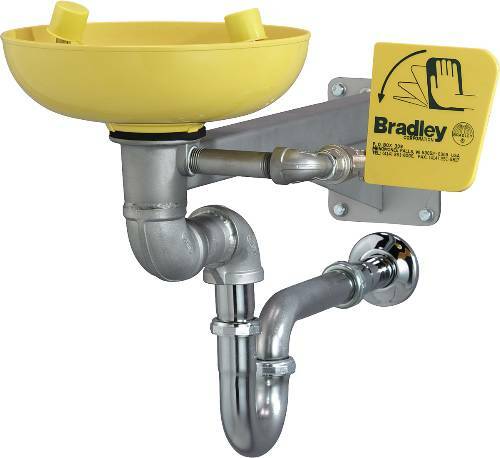 Also comes with eyewash bowl, 1/2" water supply and 1 1/4" waste. 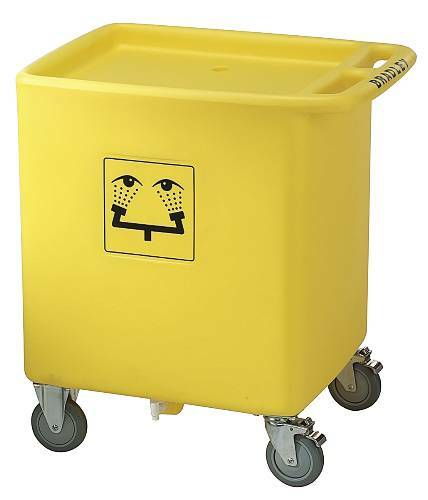 Unit meets all barrier free requirements.